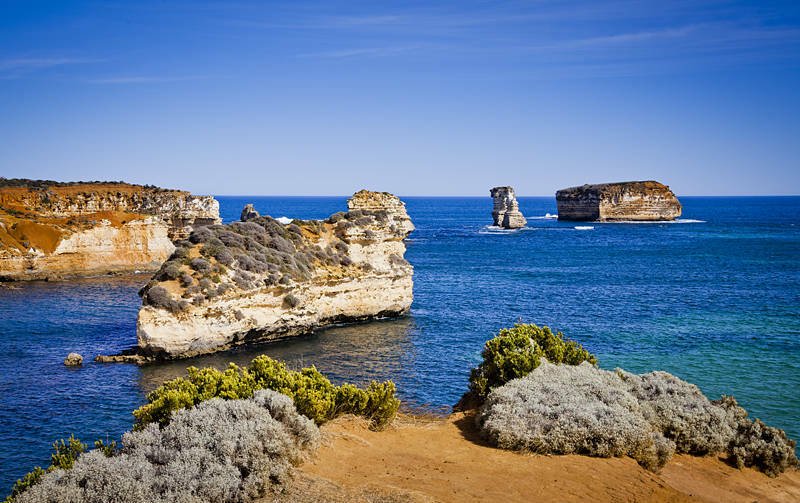 These are some of the limestone cliffs in Victoria, Australia. Over 7200 km (4500 miles) out to sea is another set of cliffs which mirror this coastline. They belong to Australia’s twin. 80,000,000 years ago these cliff’s were connected to the land which now lies under the ice in Antarctica. Back then the earth was a lot hotter but it had started to enter an ice age as Australia moved towards the equator. The result was temperatures in Australia were stable for a very long time when the rest of the world’s wildlife was suffering from climate change.